Character Design i did of Mary Magdala for BRC imagination with Production Designer Evgeni Tomov. This was for and installation at the Museum of the Bible in Washington, DC where we created a themed experience over the museum’s Narrative Floor, with its aim to tell the story of the Bible through history and the first part of that mandate focusing on the Hebrew Bible or the Old Testament. 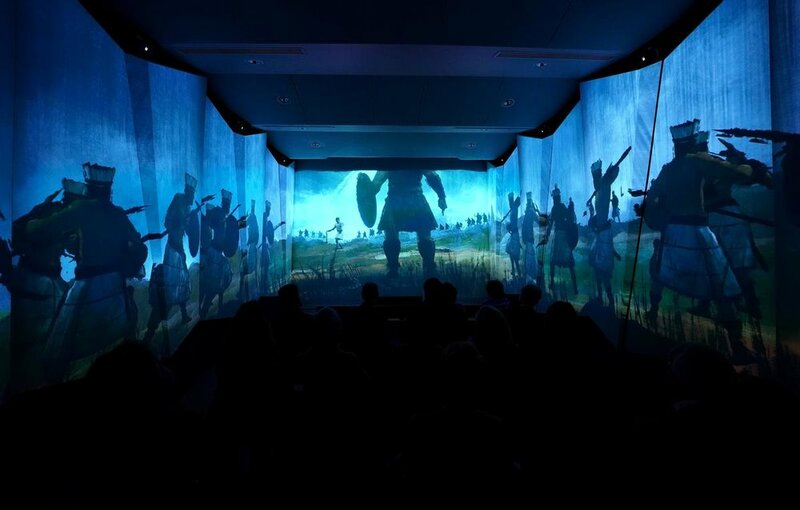 Experience design firm BRC have taken the concept of a theme park attraction and placed it inside a museum setting at the new Museum of the Bible in Washington, DC.A US$500m (€424m, £374.5m) project, the 430,000sq ft (40,000sq m) museum, which opened on 17 November, has been created inside a former refrigerated warehouse built in 1922.A group of high-profile design teams worked on the project, with US firm SmithGroup acting as lead architects and Clark Construction Group serving as the general contractor.BRC’s role was to create a themed experience over the museum’s Narrative Floor, with its aim to tell the story of the Bible through history and the first part of that mandate focusing on the Hebrew Bible or the Old Testament.